The carrier roller distance is calculated by taking the smallest base dimension of the conveyed material and dividing by three. This ensures that the conveyed material rests on at least three rollers. 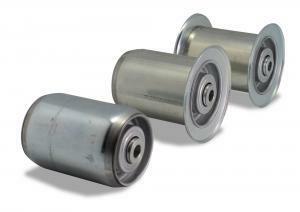 Every Schulz carrier roller can carry up to 150 kg. The recommended conveyance speed is 1 m/s. Up to double this speed is also possible for a short period. 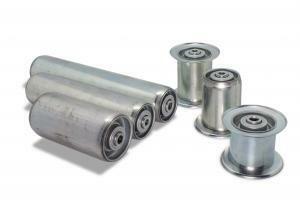 Carrier rollers can be used in a temperature range of -30°C to 100°C. 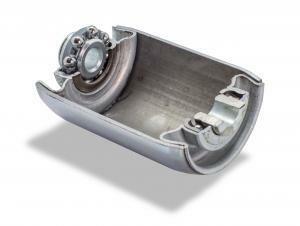 For use at high temperatures, high-temperature grease must be used with roller carrier bearings. 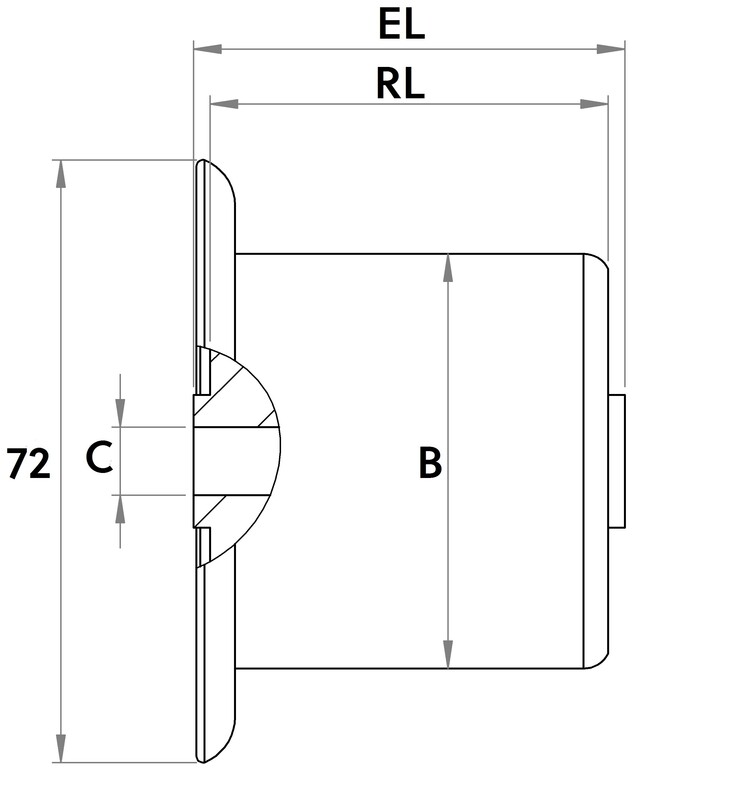 A carrier roller generally consists of three construction elements. These include the tube, the bearings and an axle. 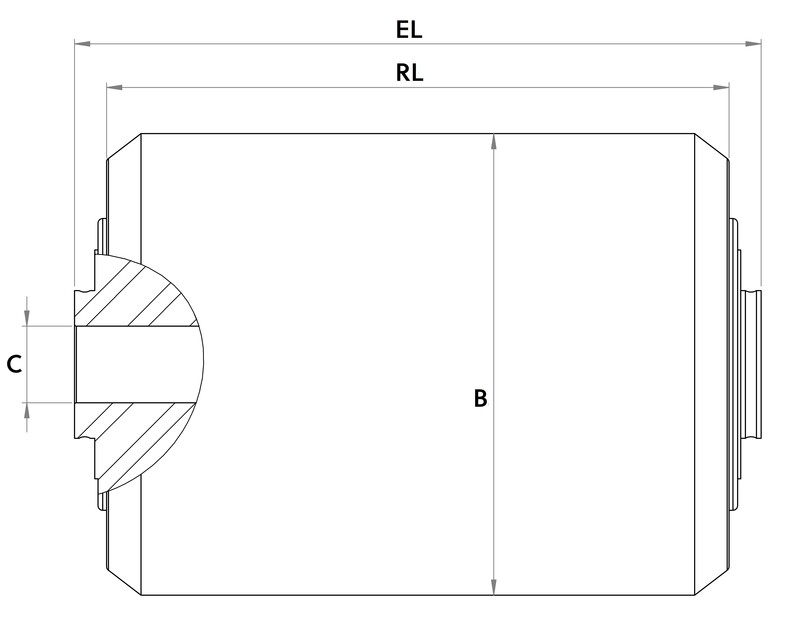 The weakest part can be ascertained from relevant diagrams on structural and dynamic surface loads or bending stress, and the maximum load-bearing capacity of the carrier roller can thus be ascertained. Carrier roller tubes consist of electrogalvanized steel tubes with close tolerances in terms of straightness and roundness. 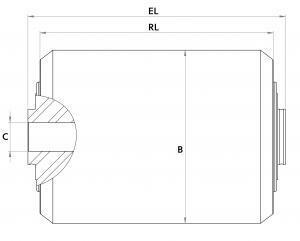 Carrier roller tubes consist of a sheet steel housing with integrated hub and a bearing insert with load balls made of hardened steel in a plastic cage. The carrier roller tubes are maintenance-free and long-lasting. Lubrication during their period of use is not required. 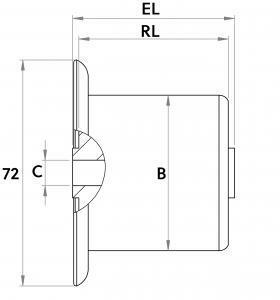 Carrier rollers are used in the same scenarios as rollers, though are designed for greater loads. Their predominant area of use are pallet tracks and carrier roller tubes of different widths and lengths.